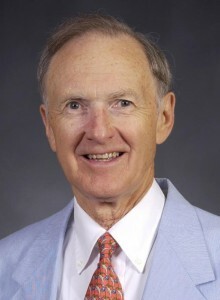 William S. “Billy” Morris III is founder, chairman and chief executive officer of Morris Communications Co. and publisher of The Augusta Chronicle, the company’s first newspaper. Morris is a leader in the media industry. He is a past member of the Associated Press board of directors and the Advertising Council Inc. and has been a president of the Newspaper Association of America. He received the first Bottom Line Award from the Media Management Club of the University of Georgia for his contributions to publications management education at the school and was inducted in the Mass Communication Hall of Fame at Texas Tech University School of Communications.